The Realme 2 Pro was launched today in India and follows a growing trend amongst Chinese smartphone manufacturers. Once a sub-brand of OPPO, Realme is now independently led by Sky Li. It has gone big on performance whilst keeping the cost down with this one, so how does it stack up to the mid-range competition? Let’s find out. Todays’s launch sees a Pro version of the Realme 2 that we saw earlier this month. The company sold 200,000 units in 5 minutes on Indian retail site Flipkart with the cheapest model going for just ₹8,990 ($128). The new Pro model is priced at ₹13,990 ($200) for the 4 GB/64 GB version and for that, you get quite a lot of smartphone. A 6 GB/64 GB version costs ₹15,990 ($220) and the 8 GB/128 GB I tested will set you back ₹17,990 ($250). It is exclusive to Flipkart for now. 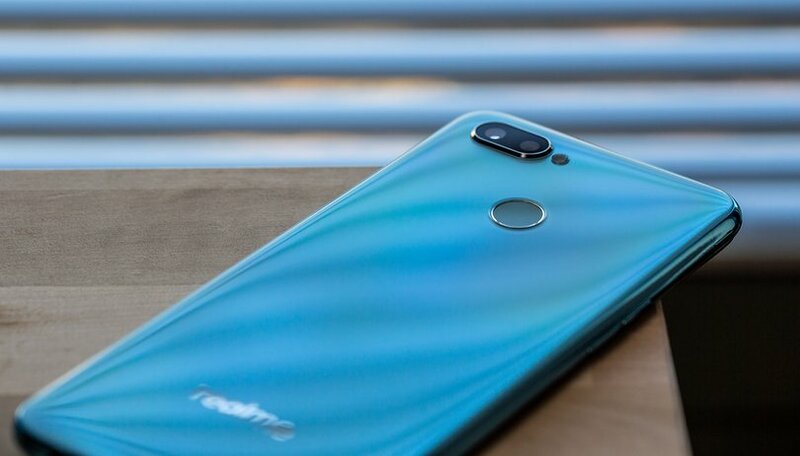 The phone will also be launched in some Southeast Asian and Middle Eastern countries, but we have no word on either a European or US release yet. The Realme 2 Pro does not look or feel like a $200 smartphone. It is previously unheard of to find a 6.3-inch FHD display at this price range and that screen to body ratio, thanks to a dewdrop notch, is impressive. The back is made of polycarbonate resin and is constructed from 15 layers of atomic laminate. The idea is that it creates a sense of transparency. The middle frame is also made of polycarbonate resin. We championed the Honor 7X as the best phone you can get for under $250 this summer, and it’s a great, but it’s not a pretty as the Realme 2 Pro. Xiaomi Mi A2 is also around this price in India but looks considerably dated in comparison. The Honor 9N, launched in India at the end of July this year, is perhaps the strongest competition in terms of design for the Realme 2 Pro. On the bottom of the device, there is a 3.5mm headphone jack, a Micro USB port, and a loudspeaker. The speaker is positioned on the left-hand side which, when flipped for gaming, is easy to cover with your right hand. The option to go with Micro USB and not Type-C is to be expected from a phone at this price. There is space for two SIM cards and a MicroSD. The display is one of the real highlights of the Realme 2 Pro. The 6.3-inch FHD+ screen is vibrant and a 90.8% screen-to-body ratio is helped massively by the small dewdrop notch. Compared to some of the monster notches we have seen on Android phones this year, this one will be a welcome change. Despite the reduced notch, Realme has still managed to squeeze in a camera capable of facial recognition for unlocking your Pro 2. Because of the reduced space, the receiver light and distance sensors have been moved into a ridge between the display and the body. It’s a clever way of pulling off a tiny notch without skimping on features, but it wouldn't work on a more premium build where the body and display are more at one with each other. During testing, I found the display to easy on the eye. Brightness was never an issue, even in direct sunlight. I found the automatic adjustment a bit aggressive though, often diming too much. I found myself turning it off pretty quickly, using the quick menu to adjust the brightness manually instead. For stats fans. The TFT LCD display is made of Cornering Gorilla Glass and the aspect ratio is 19.5:9. The pixel density is 409 PPI. The full resolution is 1080 x 2340. The Realme 2 Pro ships with Android 8.1 dressed up by OPPO’s ColorOS 5.2. The customization is not for everyone, but its AI system and a high-level of personalization will appeal to users who have the patience to get used to it. Clone phone and clone apps features are useful if you want to use two social media accounts for the same app on the same device and there are everyday touches such as an easy screenshot feature - activated by swiping down on the display with three fingers - that make life easier. New for India is ColorOS’ ORoaming feature which adds one-stop services to buying and managing data and minutes internationally, and there’s also a Game Space system that allows you to collect up to 40 games in a separate folder. The OS will then optimize your smartphone for gaming when you fire up one of the apps from Game Space. There’s also deep optimization for selected games such as PUBG to improve frame rate and image quality. In terms of safety and security, the Realme 2 Pro can unlock via facial recognition or via the rear fingerprint scanner. During testing, I found both to be quick and accurate. The facial recognition, in particular, was impressive. It also works at a wide range of angles. When I had both security systems active, however, I did find my accidentally unlocking the phone from time to time. I’d glance down at my pocket to slip the phone in and it would recognize my face. The rear fingerprint sensor setup also makes you capture a large print. This helps when you want to the unlock the phone quickly without having to be accurate, but the trade-off is accidental unlocking as you are putting the phone down or into your jacket pockets. Bloatware is an issue, with several apps coming pre-installed, including Facebook, but at least most of it can be deleted. The device uses an octa-core Snapdragon 660 AIE processor and an adreno 512 GPU. It comes with either 4 or 8 GB of RAM. The 8 GB version that I tested was snappy in daily use. In terms of price-performance ratio, I was impressed, especially when I was using lighter launchers built for speed. In terms of gaming, the Realme 2 does a decent job and the Game Space optimization did appear to make a difference. The dewdrop notch did get in the way on a couple of games I was playing in portrait mode, but mostly it is small enough to not impact gameplay. The Realme 2 Pro cannot compete with something like a Pocophone F1 ($350) or Honor Play ($365) in terms of gaming performance, but both of those phones are more expensive than this. You can check out the benchmark test result below. The audio quality coming straight out of the loudspeaker is, as you’d expect, not great. There are, however, a couple of feature in the software for when you have a nice pair of headphones plugged in. Real Original Sound Technology has been developed with Dirac Research AB, one of the world’s leading audio technology companies, and offers a custom EQ for your audio output. You can choose from a range of presents based on the genre of music you are listening to such as pop, country, electro and so on. You can also manually tweak the 3-band EQ at any time by using the sliders. In addition to, a Headphones Monitor feature promises a live karaoke experience through your headphones in real-time. The feature is for use with karaoke apps, which are hugely popular in Eastern markets. I found the audio quality OK for listening to podcasts using the inbuilt loudspeaker, but music was too tinny for tastes. During calls, on the rare occasions I make calls these days, was fine. Realme has opted for a dual camera approach on the Pro 2. A primary 16-megapixel Sony IMX398 sensor is combined with a secondary sensor that handles measuring the spatial distance of objects for the integrated portrait mode. On the front, you have a second 16-megapixel camera that uses AI to beautify your selfies. You can choose from 1 to 6 in terms of how drastic the beautification process is or you can let the AI decide how much touching up you require. The software analyzes 296 facial recognition points to offer around 8 million personalized beautification solutions. The results are very similar to what you get out of Huawei’s beauty feature baked into its camera apps. I’ve always found the selfies comes out a little offputting, even on low-level settings, but that’s just me. I get that I am not exactly the target market for this feature. The rear camera was pretty impressive in light conditions, especially in terms of color reproduction. The portrait mode offers several light modes including natural, film light, mono light, and bi-color. The software is designed to provide a kind of beauty effect but in a 3D space, and it works well. You can also record video in 4K at 30 fps. The best smartphone cameras: Which are top of the market? The real sticking point, however, is the low light performance. This is not exactly a major criticism - even smartphones that are three or four times the price of this struggle in low light environments - and more of a general problem with economy phones. The Fill Light feature, which feels halfway between flash and no flash, does help though. Inside the Realme 2 Pro you’ll find a 3500mAh battery which can handle a full day of heavy usage without too many problems. On the PC Mark Battery test, the smartphone lasted 8 hours and 42 minutes. When it comes to recharging, though, the Realme 2 Pro is really quite slow. If, like me, you have gotten used to fast-charging then it feels incredibly tedious to go back to refilling your phone at a snail's pace. I know this is a $200 smartphone, but the point still has to be made. Charge it overnight and you will be fine, I guess. The former OPPO sub-brand has put together an impressive package here for a very competitive price. The regular Realme 2’s sold like gangbusters and I wouldn’t be surprised to see a similar wave of interest in this one. The fact that it is, for now, only available in India is a shame. In that market though, the Realme 2 Pro is a real competitor to the Redmi 6 Pro, Xiaomi Mi A2 and the Honor 9N. This is a brand that western audiences should definitely be keeping an eye on.